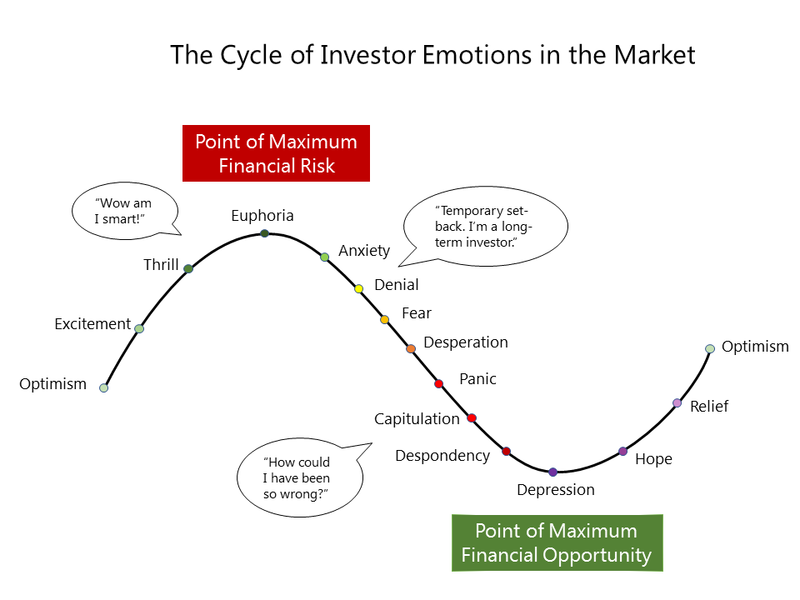 Long-term investing means investors will experience full market cycles. So, shouldn’t your investment strategy be designed for full market cycles? Average investor behavior, well-documented by Dalbar, Inc. and other researchers of the years, often conflicts with investor goals and aspirations. Why? A major reason is that investors’ emotions and reactions to loss and gain cause them to make investment decisions cause them to trail the total return of the investment or index they initially sought to capture. Behavioral Finance is a growing field of study within finance services and investment management, and for good reason. Randy Swan, Founder and Lead Portfolio Manager of the Defined Risk Strategy (DRS), designed and launched the strategy in 1997. As the saying goes, “Necessity is the mother of invention”, Randy had a desire to reduce his own losses as an individual investor. Yet there was nothing in the marketplace that satisfied the ‘necessity’ Randy sought to address. After years of working as a senior manager for KPMG’s Financial Services Group, primarily working with risk managers and insurance companies, Randy wanted to bring risk management to the realm of investment management in the form of the DRS. The Defined Risk Strategy seeks to directly address market risk, or ‘systematic risk’, in portfolio construction or as Randy puts it, he was “seeking to not lose big”. Long-term investment involves setting a goal some time in the future. Typically, over any long term period (10 years or more), the market will experience market cycles consisting of both a bull market (sustained period of rising market values) and a bear market (period with market value loss of 20% or more). Randy was seeking to find a better way to remain invested in equities (the asset class with the highest long-term returns) through market cycles, for himself and his family and friends, in order to avoid or reduce the emotions and mathematical impacts of major losses upon long-term investment goals. As such, the Defined Risk Strategy is designed with the investors’ best interest woven into the fabric of the strategy. In this paper Randy provides a brief overview of the strategy he designed as investor, with the best interest of the investors at heart. Then Randy provides a contrast to typical long-only, or “buy-and-hold”, strategies. Originally published March 2013. Updated June 2016. Is the 60/40 Portfolio Broken? Is 60/40 portfolio broken? Financial experts, and investors alike, ponder if this approach will meet expectations going forward. The culprit? Bonds. Keep Calm and Hedge What comes to mind when you hear the word “hedge”? Hedge funds? Scandals? High risk? Leverage? Fraud? Hedging gets a bad rap. When the market is volatile, hedging can be a valuable tool for investors to manage risk in their portfolios and help manage their emotions. Math Matters: How Math Impacts Results Investors often are unaware of the math that really drives investment results. This paper dives into the 4 main mathematical principles behind long-term investment success. The State of Fixed Income Examine the state of fixed income. For a long time, bonds provided both income and protection. With low but rising rates, will this continue going forward? Active vs Passive — Losing the Forest for the Trees The active vs. passive debate rages on, but at Swan Global Investments, our take is a bit different. Active or passive: it doesn’t matter. This engaging paper unpacks why, and more importantly, discover what may be overlooked in the broader debate.